Waffles are unique, delicious and satisfying. 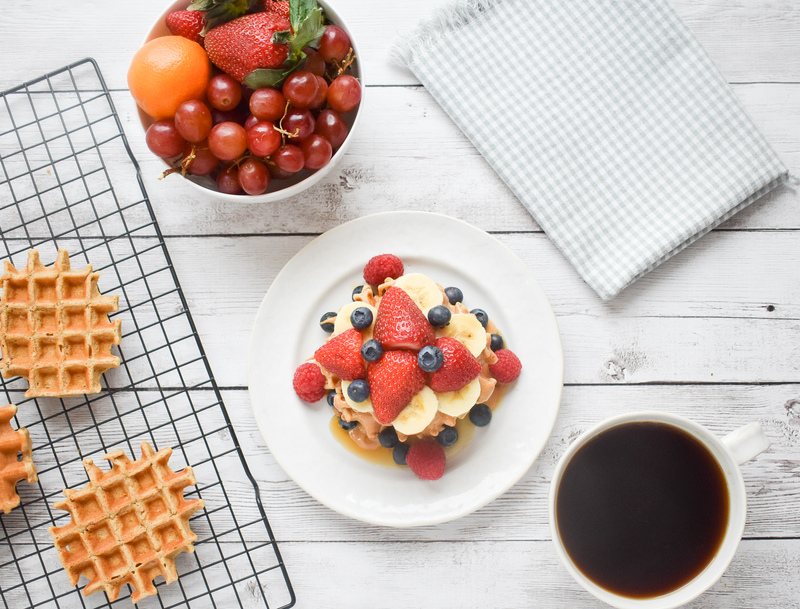 A huge favorite in my house, low-FODMAP waffles (like my low-FODMAP Chocolate Chip Waffles) are a weekend treat. But I wanted more! 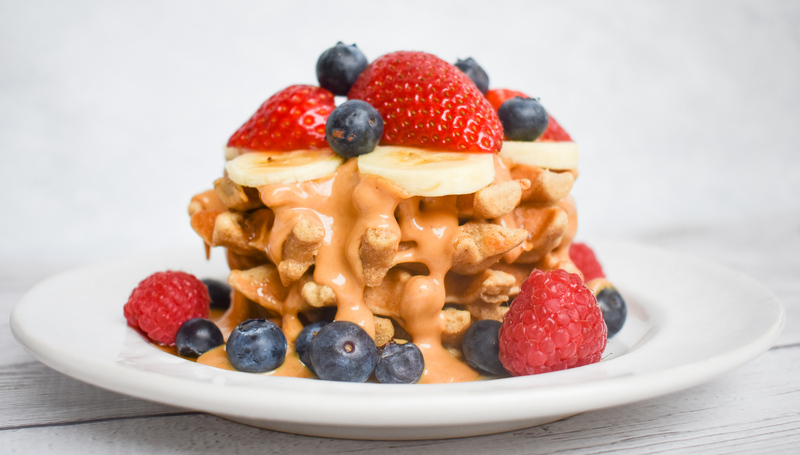 So I created this low-FODMAP Protein Waffle recipe to capture the sweet and delectable flavor of waffles, with added nutrition and protein to keep me going. 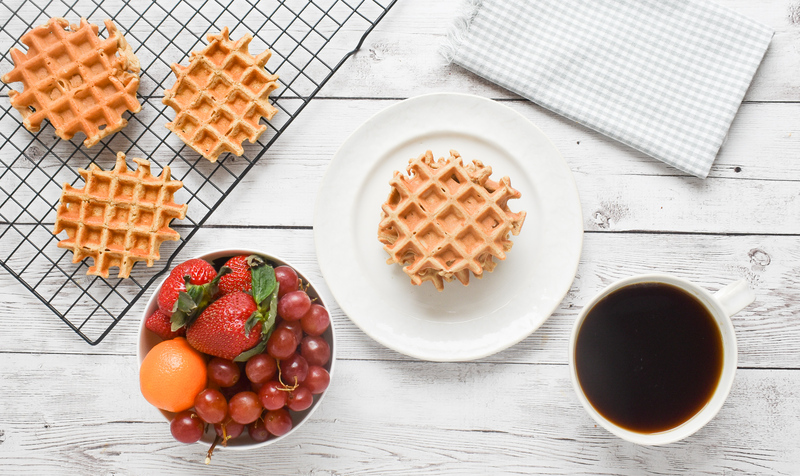 These low-FODMAP Protein Waffles are low in sugar, and high in fiber. Not to mention the extra protein to fill me up (approximately 10 g of protein and 3g of fiber per serving). Winner! 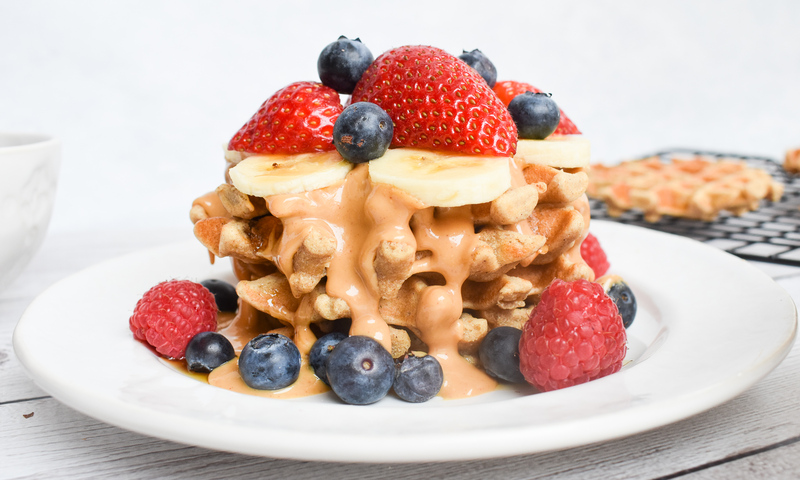 This low-FODMAP Protein Waffle recipe makes gorgeous and healthy waffles that you will be proud to serve your family. 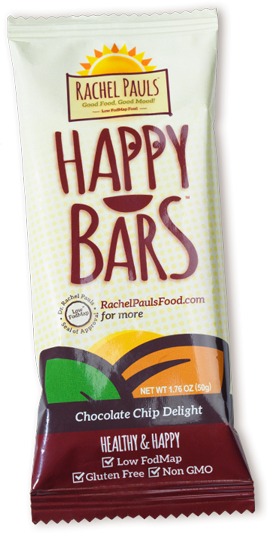 Enjoy these with low-FODMAP fruit, low-FODMAP maple syrup, or my low-FODMAP Hot Fudge and low-FODMAP Caramel sauces. I drizzle them with almond or peanut butter for more protein and healthy fats. 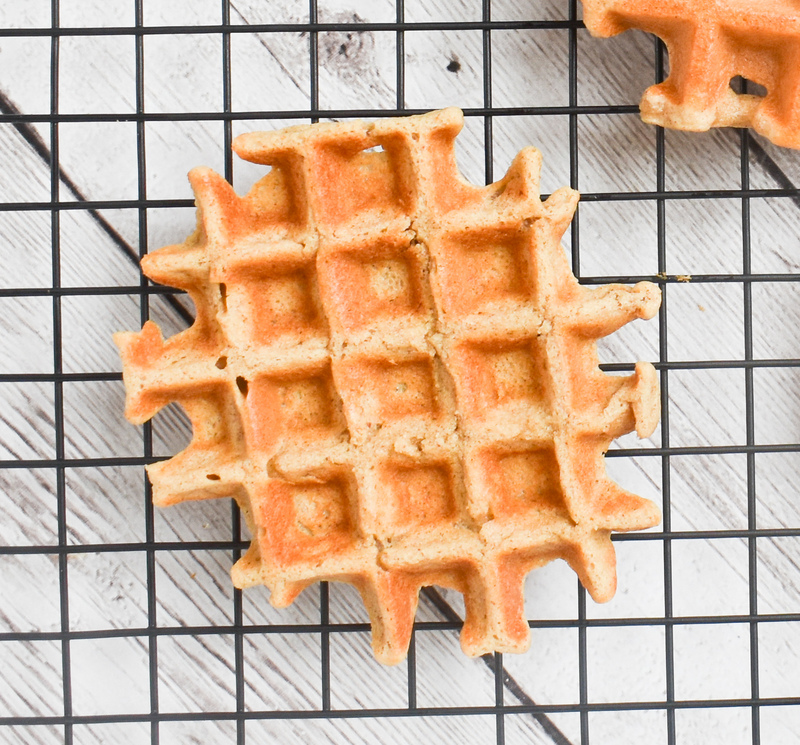 Prep these waffles on weekends and then freeze them individually. They warm up great in the toaster and are an awesome low-FODMAP snack on-the-go. 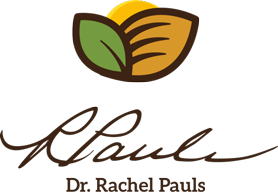 You may also wish to try my low-FODMAP Baked Banana Pancake and low-FODMAP Pecan Cinnamon Crumb Muffin recipes. Or peruse over 200 more low-FODMAP recipes on the blog.